Remake of the hit 1960’s television show. In the 21st century, Jeff Tracy, a former astronaut, amasses a colossal fortune and decides that he must use it to benefit others. His answer to this desire is to create International Rescue, a unique private emergency response service equipped with customized designed vehicles and equipment that enable the organization to react to any crisis whether it be in sea, air, land, or space. Jeff’s five sons volunteer to operate as the pilots and field agents, as well “Brain” who acts as the teams engineer. In addition, Jeff’s friend, Kyrano and his daughter Tanusha aka Kayo (based on the original series Tin-Tin character) agree to be the support staff. In addition to the field team, IR also maintains an intelligence network with Lady Penelope and her ex-con chauffeur, Parker as the chief agents in this arm. The series depicts this team as they answer various calls for help around and beyond the world while they prevent enemies like the Hood from learning and exploiting their secrets. 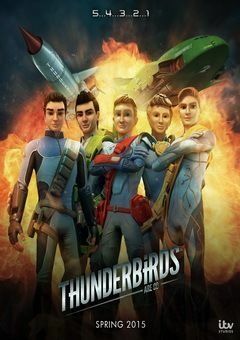 Thunderbirds Are Go Season 2 Episode 14 – Volcano!